I use a CradlePoint MBR95 3G/4G Router ($130, it’s expensive but I have tried several cheaper 3G/4G routers–CradlePoint is the one to get. It’s well worth the extra money). Since switching to this router a few months ago I have not had a single connection drop. I bought a 4G Novatel 551L USB Modem ($25) which is plugged into the CradlePoint, and just recently I installed a Wilson 4G LTE Antenna kit ($80–the antenna adapter fits the external antenna port on Millenicom’s Novatel MiFi, the Novatel USB modem above, and my Samsung S3 / S4) to see if it would increase performance on my Verizon Wireless connection… and it did! Signal went from -81 to -63 dBm (I think that’s quadrupling the signal strength?) and internet speed went from 12Mbps/3Mbps to 20Mbps/15Mbps! Update 2: Verizon Wireless may not be allowing transfer Unlimited Data Plans. The below may not be possible anymore. Verizon doesn’t offer unlimited data plans anymore, but if you had one you’re grandfathered into it. It’s possible to transfer someone else’s grandfathered plan into your name. So I bought a Verizon Wireless grandfathered unlimited 4G data plan from someone on Howard Forums Take over my plan forum (you can also buy them from eBay, they’re a little pricier there but the transaction will be safer). The process for me (before Verizon made it difficult to transfer the plans) went like this: Ahead of time I bought a Verizon Samsung S3 phone with a clean ESN off eBay (you need an Android phone, you can’t activate the plan on a USB modem) and a Verizon SIM card off ebay. After the seller and I agreed on $175 I sent the money to him via PayPal and gave him my name, he called Verizon’s Assumption of Liability (AOL) department to tell them I’d be taking over the line, then he gave me the number I would be taking over. I called Verizon’s AOL department and told the rep the number, she verified the details on the plan and then transferred the line into my name…I didn’t have a Verizon account so I had to set one up over the phone and they will run a credit check–and Verizon does a hard pull so don’t do this before buying a house or taking out a loan. During this process it’s very important not to switch to one of Verizon’s newer plan’s that will drop unlimited data. I made sure the rep knew I wanted to keep unlimited data. After it was switched into my name I gave the rep my phone’s MEID number and SIM card number and activated the phone… it took awhile, maybe 5 minutes. I made a test call and tested data with the rep still on the line. It all worked! Once it was activated I moved the SIM card over to my USB modem (which Verizon allows). The plan I got is the NationWide 450 (there’s no way to drop the voice part of the plan even if you don’t need voice) with unlimited data. I was able to have the rep disable texting. This runs me about $65/month including taxes with my 18% corporate discount. The only thing I’ve been disappointed in is they give me an IP address behind a NAT so I can’t host this blog from my house any more. Verizon does offer a static IP for a one time fee of $500. If I knew that Verizon would allow me to keep unlimited data for at least 3-years or give me a refund on the static if they canceled my plan I’d do it…but without a guarantee I don’t want to take the risk. I run a SoftEther VPN server in a VM on my Microserver which uses a UDP hole punching technique to get around the NAT so I can still get into my home network to access files on my ZFS server and such. I’m grateful that Verizon is still allowing grandfathered plans on their network so while I’m no longer careful about internet usage I try not to abuse it. I have all my data intensive processes like CrashPlan backups run only between 1am-4am when I figure Verizon has plenty of bandwidth and spectrum available. Of course, Verizon may discontinue grandfathered unlimited plans in the future… but I hope it lasts until someone brings DSL, cable, or fiber to my house. Thank you! This was the step-by-step information I was looking for! I have been dealing with overpriced, underperforming satellite internet in my rural home for several years. I was convinced there had to be a better way! Now, on to making my phone, data plan, cradle point, and modem purchases, and hoping they don’t decide to end unlimited data anytime soon! Glad to hear it helped, did you get your internet setup yet? Yes! I already had a cell phone booster for our home, so I placed the Cradlepoint right next to it, and it all works like a charm. It’s a little sluggish at times, but overall, still better than hitting the data cap 1/2 way into the month! Even with the inconvenience, living in the boondocks is still worth the effort! Great to hear, Beverly. I agree, not having neighbors right next to you is worth giving up some things. In my experience internet is very fast at 5am then it slows down as the day goes on, especially in the evenings. Weekends are worse. I think Verizon is just saturated during those times. Great blog! Thank you for posting this guide. We are moving out of town next month. There is no cable or DSL available, and my family currently uses way too much data for any of the satellite or capped cellular data plans. Sorry if this is a silly question, but would it matter what type of smartphone was used to activate the line? Could a 3G phone be used to activate a 4G SIM card? Also, what becomes of the phone after this? Could it be used again with a different SIM? Thanks! Hi, Jason. You need a 4G phone, you can’t use a 3G phone. One thing to watch out for is all the sim card size changes so you may want to buy cheap SIM card adapter set off Amazon if the phone you use to activate takes a different size than your USB modem. I’m not sure if it would work on a phone currently under contract, but I have heard of people borrowing a friend’s 4G phone to activate the grandfathered plans then they can just put their SIM back in and they’re good. To be safe I decided to buy a phone off ebay (make sure the ESN is clean). Once you’ve moved the grandfathered SIM card over to a new device you can use the phone with a different SIM or you can sell it back on eBay and the ESN will still be clean. Let me know how it goes for you. Good luck! I will. It should be sometime early in May. Thanks Ben! Hey, Jason. Just curious, did you ever get this up and running? Ben, Very helpful info, I live rural as well and getting ready to do the same as you have done here. Just out of curiosity how much data do you use per month? And is unlimited truly unlimited? Does it matter if the sim card is new or used? I’m not sure–I used a new SIM card I bought from someone off Ebay or Amazon…they’re not too expensive. Hi, Todd. Lately I’ve been averaging 60GB per month. It is unlimited–I’ve come across some forums where people claimed to have used around 900GB in a month! I wouldn’t try that myself though. |:-) Let me know how it goes if you get it up and running. Ben quick question, was the usb modem new or used or does it matter? Thanks again…I assume the activation was done online and not on the phone with a rep? New or used is fine. The only trouble you would have with used is if the ESN isn’t clean but I haven’t ever run into that. So, assuming you’ve already done the assumption of liability transfer on your phone… to activate the USB modem all you need to do is move the SIM card from your phone to the USB modem. That’s all there is to it. You don’t need to tell Verizon, you don’t need to do anything online. You may need to get a SIM adapter (this looks like a good set: http://amzn.to/1rH2kdx ) Good luck..
Hey Ben. Sorry for taking so long to reply, I got really busy and forgot for a while. I am up and running, and everything is working great. My setup came out a little different because of the lay of the land around here, but it is as close to a clone of your setup as can be. There is a big hill and some tall trees between my house and the nearest tower, so I opted for one of the Wilson antennas with an amplifier and interior panel antenna. I was able to locate my 4g modem in the same room as the panel antenna, so I didn’t use the antenna port on the modem. There seems to be plenty of signal in that arrangement. My ASUS router is supposed to support 3G/4G modems, so I tried that for a while before investing in the CradlePoint, but I never got the ASUS to work right. There were very few setup options and it didn’t manage the modem very well, so after a few days of frustration I ordered the MBR95, which was well worth it. Cellular modems seemed like an afterthought to ASUS, but CradlePoint was clearly built around them. The MBR95 works flawlessly. I am able to maintain around 900 kbps on 3G, which is plenty for one Netflix stream, sometimes two. Verizon claims that my home is in the 4G LTE “extended coverage area,” which means that certain conditions may cause my connection to drop to 3G according to their definition. Apparently, those conditions are present 100% of the time! I used a length of pipe as a temporary antenna mast to experiment with, but at a height that was much taller than anything I would be willing to permanently anchor to my roof, I was only able to reach enough 4G signal to illuminate the RSSI indicators, but not enough to maintain a real connection. Further testing will involve putting more holes in my house, so I am postponing that effort indefinitely. 3G is good enough for now. I was able to purchase a grandfathered data plan as you suggested, and have been using between 60 and 80 GB per month with no issues. Verizon is currently my only option for unlimited data, so that is more important than my frustrations with their coverage map. They were actually very helpful in the AOL process. I explained to their support representative that my sole purpose in obtaining this number was to aquire an unlimited data plan, and they had no objection whatsoever. THANK YOU VERY MUCH FOR ALL OF YOUR HELP. This was a difficult learning curve for me, and no one else has assembled all of the necessary information like you have. Best regards, Jason. Just wanted to say thanks for this article. I have been looking for this solution for over a year now. We have been tethering via a rooted smartphone with foxfi with very poor results. I bought the same modem and router that you used and it is working like a charm. Not to mention my signal went from -105dBm to -76dBm!!! My speed has doubled. That is without any booster or antenna. considering getting the same antenna you used as well. Is there any way to predict the improvement an antenna may provide? Hi, Tom. You’re welcome. Thanks for posting your results. Interesting that just the modem and router made a difference! Someone who knows antenna theory could probably answer that but I couldn’t tell you. From my experience the antenna increased signal strength and speed. Dude, this is by far and away the best thing ever! Thank you so much for sharing this! FWIW, I think it’s a good thing that Verizon came up with a plan to accommodate unlimited, grandfathered plans. The way they claim to be implementing throttling seems like it will have minimal impact to those of us accessing lightly utilized towers (which most of us are). Hopefully, it’ll mean that this will be a viable option for some time to come, as I see no end in sight to the broadband deficiency in my area. I do have a question. How did you go about dialing in that directional antenna? I know generally where to point it, but how do I check for optimal placement? Hi, Eddie. When I went outside to point my antenna I took my laptop with me, connected via wifi and monitored the signal strength on the Cradlepoint router admin page by bringing up the signal graph (screenshot in my original post) as I aimed the antenna. What I did was aim the antenna, wait for the signal strength to change (I think it takes a minute or so for Cradlepoint to update) then turn the antenna 45 degrees and wait again and go around in a full circle. Where I saw the stongest signal I aimed it in that direction–then I turned it in one direction and noted where the signal strength started to drop off and did the same for the other direction (for me, pointing it in a South-East direction got the best signal…and the signal would drop off at just past due East and past Due South so I just pointed it right in the middle). You actually don’t have to be that precise, just get it in the right general direction. With the antenna I used I have a 45 degree arc where I can point it and further precision within that direction doesn’t improve the signal–that’s why I had to determine the midpoint by seeing where the signal started to decrease. Hope that helps, let me know if your setup works once you get it up! I decided to start out with just the router and modem you recommend. With regards to the antenna, I’m going to take a wait-and-see approach. I’ve managed to pull 20 meg down with the old droid maxx by simple placement. So it may not be needed depending on the strength of the modem. Will update for sure. Nice! Appreciate all the info. I am excited about 4g! Do you know if the sim from an iphone is compatible with that data card? I have a sprint iphone 4 so im going to try to find a trade for a verison 4 to set this up. Also, anybody need a cradlepoint router and Sprint Unlimited 3g wireless card? Id be glad to GIVE it to someone and transfer the unlimited account for FREE! You’re welcome. I’m not sure what the iPhone has, but you could get one of the adapter kits just in case. She also said to me “if you are going to do this, Do It NOW” as she has heard rumors of verizon cutting off the ability to transfer unlimited data accounts soon! Ok Ben, i was Johnny on the spot and got with the program! What was an idea on the 8th is reality four days later! Thank you, thank you thank you, for writing this blog! I paid waaaay too much for the account ($520) but oh well… Got the cradlepoint bought and delivered fast thanks amazon prime. Of course the salesman at the verizon store had to freak me out and say the sim card would not be allowed to work in the wireless card. WRONG! Works epic….44 down and 9 up, and the yagi has not arrived yet!!!!! Ye ha this is AMAZING! I gave away the 3g unlimited to the neighbor. Hey, Ben. Just thought I’d pop in an give you an update. Got my router & modem working, but first had to purchase an adapter for my SIM to be able to fit. The router indeed has numerous features! My only complaint is that the wifi signal is somewhat lacking. But this problem can be easily overcome. The antenna was ordered shortly after. as the modem was struggling to pull a 4g signal from my office. I used a flag pole mount at the peak of my roof, with a piece of pvc pipe to affix the antenna bracket. It works pretty well and can fully articulate in any direction. Signal sits around -69 dBm, but I think this can be improved with a little adjustment and possibly some limb removal. Here’s where things get interesting. I managed to pull a respectable 20 down, 13 up with this setup. A nice, reliable signal right? Well, I had not been using my VPN service in this testing phase. I add that to the mix, run a random speed test sometime later, and to my surprise – my download speeds have nearly tripled. So I figure, this must be some sort of fluke, a misreading perhaps, and test again. And again. Long story short, utilizing a VPN, I am constantly seeing a higher ping (around 80 ms), slower upload speeds (2.5 meg), and DRASTICALLY faster download speeds. Just ran a speed test this morning, 60.23 Mbps! You might want to give it a try. Thanks for the update Eddie! Very interesting that you’re getting a faster download with your VPN… I wonder if Verizon prioritizes whatever port your VPN is running on over the standard http port. The only other thing I can think of is your VPN might be compressing data on the fly at a 3 to 1 ratio on your test data. I wonder if you would see the same benefit downloading data that doesn’t compress well? Upon further investigation, I think you are right. It would appear that downloading files that are already compressed is a little faster, but not to the degree that a speed test indicates. More like 20-50% rather than 300%. Still, I do notice a boost with compressed files, which tells me that there is something to it. Also, I have heard of youtube and netflix throttling being an issue for some folks over Verizon’s network. A VPN might help with that too. Anyway, you’ve been a big help to me by sharing your setup, I thought it only fair to reciprocate by sharing my results. Here’s to you and to those like me who are brought into the broadband fold, taken for granted by so many urbanites, thanks to your insight and generosity. You’re welcome, Eddie. And thanks for your info. I may try a VPN after hearing your results. Are there any VPN services you would recommend? I’ve got a similar setup I’ve been using successfully for a while now. I’ve got a mifi jet pack that I bought off of ebay for $20 dollars. I added a new line with 2GB for my personal phone and placed my old unlimited line sim card in the jetpack. I’ve got a Wilson Yagi antenna plugged into the jetpack. I than use my Asus RT-66U router as a wireless bridge, and bingo, the whole house has internet access. Now, here’s the rub. Living in the country, this is the ONLY option for reliable internet. I’ve tried satellite and WISP but they both stink. WISP is slow and satellite is slow and expensive. Now Verizon is going to throttle us lucky grandfathered clients. Only the top 5% though (which they claim is anyone over 4.7Gb a month). How is that for a company taking care of it’s customers (Ive been with Verizon since 1998). I’ve already seen my speeds drop, albeit not consistently. I can’t believe though that a tower that supports a lonely stretch of interstate and a handful of small (sub-1000) population towns is under “heavy-use”. I’d love to jump ship just on principle, but alas, 1-2 Mbps is still better than what I got with WISP and is still more reliable than satellite. So, to make a long story short, I just wanted to let everyone know before considering this option, if you plan on using this like I do – home internet, streaming movies, etc… – don’t expect super fast speeds for your entire billing cycle. It’s only a matter of time before the last bastion of data freedom is destroyed. Hi. We have Cincinnati Bell out here in the country. When it rains my phones go out. They will not replace equipment out here. I had never heard of the Verizon Lite for rural areas. Someone in their business said a better modem would not help my speeds to be better. Are you saying it does? I am gonna call them tomorrow. Hi, Herma. I think you might be confusing Cable/DSL with wireless service. Verizon wireless is a cellular provider and it would only work for you if you live in an area with Verizon wireless coverage. Hey Ben, I see that you meet most of the criteria on the verizon tethering check list, can you post your speeds during peak on oct 1? compared to your speeds tomorrow sept 30? it would be interesting to see what they actually do. I’m sure the internet will be up in arms about it but I want to see what rural users see as a result of this policy. Thank you for your help. One last thing, the app “open signal” might help you get started on finding the nearest cell tower to point your antenna toward, but really dialing it in I think your method of trial and error would work the best. Great idea Joel! I just ran a speed test today (Sept 30) at 9:17PM my time (PDT) and got 8 down 2 up (which is not bad for this time of day). I don’t know if Verizon takes this into account but I have all my heavy lifting data transfers running between 1am-4am when they should have plenty of bandwidth available. If I remember I’ll run a test tomorrow about the same time. Today (Oct 1) at 9:08pm I get 11 down 2 up … so far I haven’t been affected. Verizon just announced it will not be implementing their “Network Optimization”. Woo Hoo!!!!!!! Ben, thanks for the information. I have been looking into this recently as i get amazing LTE speeds at my home. Would you mind taking a look at a forum post i made (link below) with some questions i had before i start spending money on this? I know some of the questions have already been answered but i want to be absolutely sure of everything before i start sinking money into this. Thanks! 1. 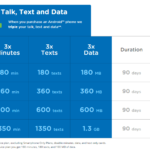 UDP is $29.99/mo + device access + a required minutes plan, right? Yes, although I don’t think I have a device access charge on mine. Mine is a 450 minute nationwide talk + unlimited data plan. Total comes to around $65/month with my 18% corporate discount. Yes, you can change down to the 450 plan (must be the Nationwide talk plan, the newer voice plans aren’t compatible with unlimited data). You can change it during the transfer process even if the seller had something higher. 450 is the cheapest you can go down to. You can also disable texting. If the seller had a less than 450 minute plan you might be able to keep it. I’ve heard of something like 200 minute plans that are a few dollars a month cheaper. 3. When performing the AoL, after the seller has contacted Verizon, all i need is a Verizon compatible phone, and sim card, correct? Correct. Verizon Phone. The phone must have a clean ESN (wasn’t stolen, etc.). SIM card is needed. You’ll also need good enough credit to open an account. 4. Can i use a dumbphone to lower the access cost? I don’t think so. I think you need a smart phone like an Android. 5. After the transfer and activation, can i then transfer the SIM to a hotspot device to use in conjunction with a cellular router with no major issues or tedious work-arounds? Yes. Just physically move the SIM card to the new device (must have a clean ESN) and it should work. You don’t need to configure anything on the website and you don’t need to call Verizon. Yes, I was able to apply my corporate discount to my plan. I believe I did so while I was on the phone doing the transfer. I just picked up a Verizon unlimited account for $100 as well. The seller has been kind enough to mail me the active SIM card from the phone that was used on this line so i won’t have to find or purchase a Verizon phone just to activate the SIM. I believe the only other purchase i will need in the future is a router upgrade. I’ve used my Asus WL-520GU for the past 8-9 years with Tomato with absolutely no issues. But that was only serving up 1mbps/128kbps at the best of times. For now, i believe i’ll run straight off the Cradlepoint. 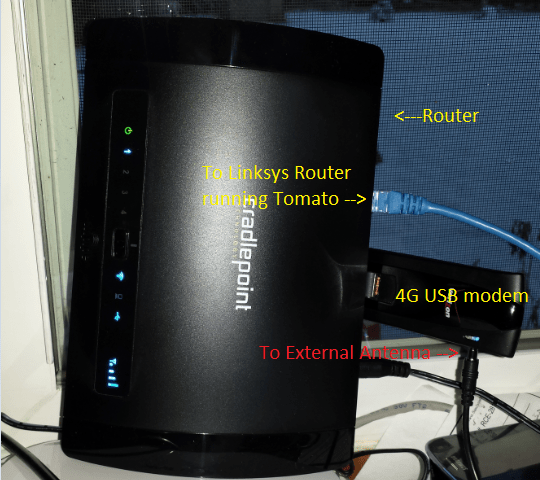 ben, how did you configure your Tomato router that’s plugged into the MBR95? I purchased a higher-end router that i planned on connecting to the MBR95. I assumed that the MBR95 could be set as “bridge” mode but that does not seem to be the case. If i simply plugged in my other higher-end router and connected everything to it, everything would be going through two firewalls, NAT, processed twice, etc. Do you have any suggestions? Disregard. It looks like the MBR95 will not do IP passthrough or bridge mode. Cradlepoints more expensive routers do support the feature but i really don’t want to spend another $200++ for a brick to interface the USB modem to my network. Hello,This is a great article. I am looking to do the same setup as I live in a rural area with horrible satilite internet. I would like to purchase the USB modem. However I am a bit confused on how I would get it activated. Any advice would be helpful. Thanks! Hi! Great article :) I’m not very tech savvy with this kind of stuff so I apologize if I’m asking something you’ve already answered and I didn’t understand. I have been with Millenicom for a while. I have a Novatel JetPack Mifi. They are no longer going to be providing service. I also have a grandfathered UDP on my Verizon smartphone which I want to keep on my smartphone. I’m assuming the Jetpack has a SIM card in it since it ran off the Verizon network? If that is the case, could I purchase one of the UDP from ebay, then take the SIM out of the Jetpack and put it in my smartphone just to get it activated with the AOL, then move it back to the Jetpack? I’d then place my original smartphone SIM back in my phone and continue on like normal with it? I couldn’t get the micro sim to be recognized in the smart phone I purchased to activate the UDP, so I’m going to look at getting a USB modem that uses a regular size sim to make it easy to move the SIM back and forth when I want to use the phone. I was thinking about the LG VL600 4G Broadband USB Modem / Aircard since it supposedly uses the standard size. I was curious, do you have to use the Verizon Access Manager to get connected? What size is the sim card that goes into the usb modem? I have been googling, but cannot seem to find any reference to size, ie, nano or micro. Nevermind, Looks like it is a Micro SIM. I purchased the CradlePoint and modem off ebay. Setup was pretty easy. And it works!!! Thanks for the post. I just recently moved to the country and this really helped. I ended up with a $45/month UDP plan from verizon. Just need to purchase, or make, a yagi. I am also contemplating the purchase of the Pantech UML295; since it can connect to Band 4. Good to hear! If you get the UML295 let us know if the performance is any different. I figured i should share what i’ve found out about hardware over the last few weeks. It’s certain possible to buy a cheaper but more powerful router such as the netgear AC1450 and get the same results as the cradlepoint. Yet, you can install DD-WRT on it and gain MUCH more features and functionality as well as more power depending on the model you purchase. I paid $65 for the Netgear and it’s running great so far. As you can see, the UML295 is not listed as being supported but with the help of the DD-WRT forums i was able to get mine up and running by manually configuring it. This route is quite a bit more involved as you are entering raw commands via SSH, Telnet, etc. If anyone is interested in going this route just let me know and i can fill you in on what i know. Also, it appears that even the stock Netgear AC1450 firmware supports quite a few mobile modems if you don’t want to mess with DD-WRT. I haven’t received my external yagi yet but just moving the the modem away from the router i gained around -10dB! Not to mention you have much more freedom to move the modem into areas that will have better reception such as high up in the corner of a wall, on a window, etc. Great work elwood! If I was going to do this over again I’d likely do what you did using DD-WRT. I actually originally tried using my modem with DD-WRT on my Linksys E3000 but I couldn’t get it to work–even though the 551L is on the supported list. Maybe the E3000 hardware can’t handle USB modems? You will have to let me know how stable your solution is long-term. I’m particularly interested in how DD-WRT handles random things like recovering from disconnects, automatically hopping to 3G if 4G goes out, etc. so if you can report back your stability after you’ve been running it awhile that would be great! I might consider switching my CradlePoint out at some point in the future for your DD-WRT solution…although for anyone that isn’t technical it’s probably best to stick with the tried and true CradlePoint solution. After hours and hours of playing with settings, routing, etc., i finally gave up and put the UML295 back into the Cradlepoint. Everything is rock solid with the 295 on DD-WRT except HTTP. There seems to be some routing issue that causes dropped packets which causes some websites to load very slowly or not at all. I never got a chance to test the 551L with DD-WRT on the AC1450 but i expect, with it being natively supported through the GUI, that it would be just as solid as the Cradlepoint if not better. It looks like you can run DD-WRT on your E3000 http://www.dd-wrt.com/wiki/index.php/Linksys_E3000. Although i’m not sure if all DD-WRT builds have the mobile broadband GUI & drivers directly built in. You may want to do a little research on the DD-WRT forums. If you can get a stable DD-WRT build on it with mobile broadband support in the GUI i would definitely go for it. If not, it’s quite a bit more involved to get the 551L manually working. If you need any tips, help, or want me to test anything for you, you can email me directly at the email i’m posting with (if you can see it). Derp, i see you already tried it with DD-WRT. Did it have mobile broadband support in the GUI or you had to install it manually? Well after using the uml295 and CR MBR95 for a few months, I am not so happy. I have issues sometimes connecting to websites. They just timeout or show as unreachable. Then I log into the router and it shows all is connected and fine. I can open a shell and ping out to say google, or yahoo. But trying to go to cnn, or something in a browser will fail. I have been playing around a little bit and things seem ok for now. I currently put the static apn of vzwinternet. But I have been contemplating the purchase of the pepwave surf soho. At this point I am not sure if it is a router issue, or the modem. Or hell, it could be verizon. I have not noticed a huge difference in performance between the uml295 and the 550L. 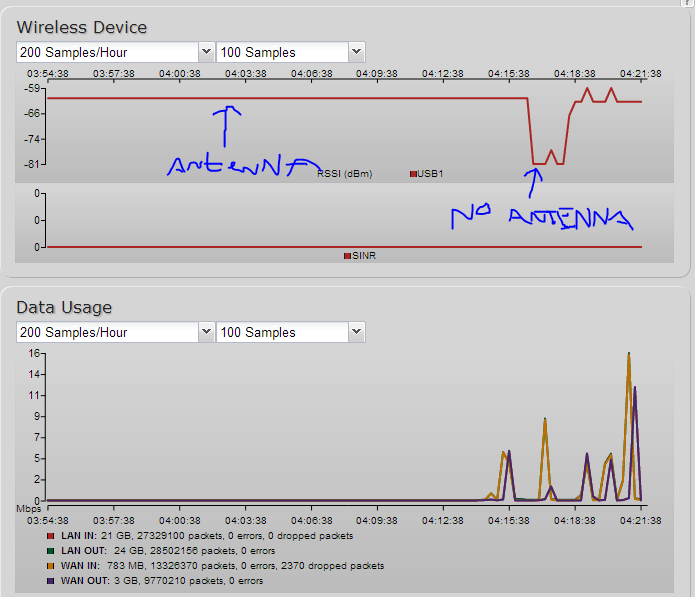 At the best of times I am getting 25Gb down, so I never purchased the antenna. I am using the SOHO with a Verizon MiFi 4620L. It has worked great for the last 9 months. No issues with the hardware itself. Peplink is very responsive at providing firmware updates. Before I rebooted to install a few firmware, I had 224 days uptime with the router. I may purchase the SOHO. The only issue I have with it is using it with the UML295. I read on a few forums that the uml has to be plugged in after the soho powers on. Apparently if it is left in before being powered on, or rebooted, the device does not turn on. I am just going to wait and see at this point. The last few days have been fine. My only issue now is XBOX live. It’s pretty slow to respond. And I can only get a not type of moderate. Peplink may be able to help with that… though they would need someone with the SOHO and that modem to send them the log files. They are very responsive with this sort of thing. I’m trying to get my VzW ULM295 USB LTE modem working on a Netgear R7000 router running DD-WRT. I noticed you had to manually configure the router to get your USB modem working. 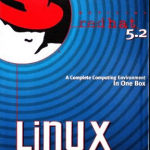 I have Unix/Linux experience, navigating the file system and editing files will not be an issue. Please let me know what you were able to find. Quick question…… Would one of the new LTE cradlepoint routers give better speeds or does having the 551L modem give you LTE speed? Thanks! I ended up going with the Cradlepoint ARC MBR1400 3G/4G multi-band LTE router and it works great! The reception at my current location with just the supplied antennas work wonderful but I have yet to try it in the planned remote location. I am going to try it during the holidays and I’ll advise of the performance. 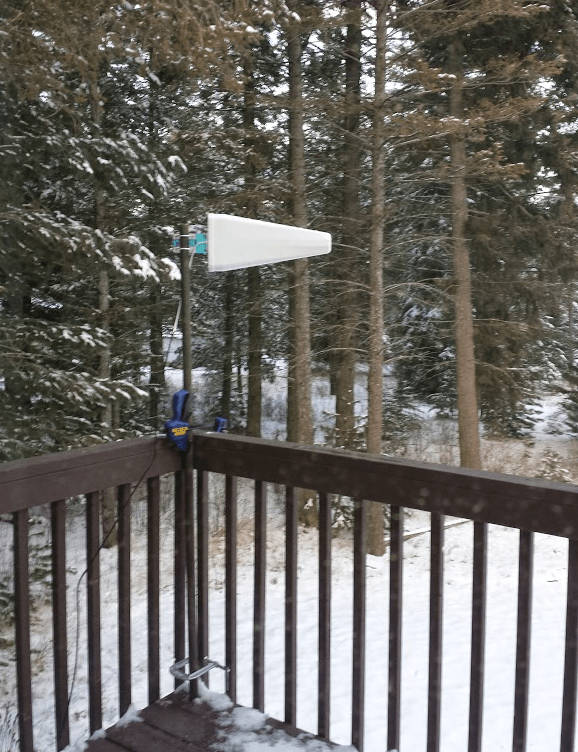 I also plan on using an external antenna but it will be spring before I have those results. I want to say “Thank You” for sharing with us! Ben, great information. Unfortunately, I found your post last night and this morning read that “effective November 13, Verizon is changing their Assumption of Liability (AOL) policy. Previously, whoever was assuming liability of an unlimited data plan would be able to keep the unlimited plan plan on an older style Nationwide plan. Ben, now that you swapped your SIM from your phone to the modem, does it still show your phone as your main device or the modem on Verizon’s online account info? My now shows up as the Novatel Modem. Cause for concern? Not at all. It’s in the contract somewhere that swapping the SIM to a data device is allowed. I would just keep a copy somewhere. My Verizon account has always shown the current device I have the SIM in, like Elwood said there’s no need for concern. Could you share a post or details on how you configured your SoftEther VPN in order to reach the internal network from the outside, on Verizon? I’m in the same predicament, which an unlimited 4G connection, but am unable to reach files due to Verizon’s 4G NAT firewall. If you have some time, after the holidays, would you be so kind as to publish a write-up? Right now I am connecting to a Private Internet Access VPN on my local machine in order to increase download speeds. Ben…Since Nov 13th can you still transfer the verizon unlimited plans? I see some plans still for sale although the information here states they have changed their VOL policy. Will this same setup work with a AT&T umlimited data plan? Hi, JP. I do not know the answer to your first question. The same setup should work with AT&T, I believe Verizon and AT&T use slightly different frequencies so you may want to get a different Antenna..mine might be specific to Verizon’s 900MHz frequency but there are some antenna’s that support a range. Also, if you get good reception with them you may want to look at T-Mobile’s offerings as well. For awhile I was running a Mifi 4620 and using an Asus RT-N66U as a repeater. I had the mifi attached to a yagi. Speeds were around 6 Mbps down and 2 Mbps up.About once a day it would go dormant and I’d have to reboot. So, I purchased a UML 290 and paired this with a TP Link TL-3020 and hardwired this to the Asus router. At that point, using the external antenna, I was seeing 20 Mbps down and 15 Mbps up. Significant improvement. However, it soon became apparent that the TP-Link didn’t like the UML 290 and I was having to do a reset every hour or so. That was very annoying. I recently got a Novatel T1414 Tasman router with integrated 4G router. This thing rocks. Swapped sim from UML 290, attached antenna, plugged into eternet and BAM…30 Mbps down and 17 Mbps up. Rock solid stable. Also, with the Novatel unit, you can run voice through it. Anyone looking for an upgrade to their system, I’d highly recommend looking at this unit. 68 dollars on Ebay. Well worth the investment. Correction – Novatel T1114 Tasman Router. Tried your suggestion Chris. I am using the Yagi antenna similar to the Ben. I have an Asus 68U router. My original setup include a USB modem 551L and it was not stable (had to reset once a couple of days). I then moved on to a mifi hotspot MHS291LVW and bridge it to the Asus 68U. WIth the USB i was getting 1-2MB down / 5 Up. And after switching to the hotspot and realign the antenna I got 20 MB Down / 3 MB Up. But I was not happy with the WIFI bridge which take out my Asus as a router and disconnect most of my network storage in the house. So I got a T1114 and without mucking with the antenna I hook it directly to the Novatel, my speed is down to 1-2MB down / 10 MB up. So i rotate the antenna to another tower and the best I can get is 4-5MB down / 10 MB. Not sure what is the different between the mifi and this router is. After about two weeks total trying everything possible, i gave up and sold my router. I went back to my Cradlepoint MBR95 and it’s been quite solid. I will be adding another wireless router to boost my wifi speeds though. Can anyone tell me if these UDP approaches are even feasible anymore. I’m currently sitting on a 1.5 Mbps connection from CenturyLink. It’s a horrible connection (latency is constantly 150+ ms), and I have been looking for alternatives. I didn’t think there were any until I stumbled upon your blog. Please tell me this is still possible. The only reason why I haven’t dropped CenturyLink in favor of Verizon’s 4G LTE home solution is because of the ridiculous data caps. 30GB of data at $120 per month is stupid. The game I’m downloading right now is around 40+ GB. With an unlimited 4G LTE plan, I’d finally be free of CenturyLink’s stupidly slow 1.5 Mbps connection. I’m foaming at the mouth right now in anticipation of an unlimited 20 Mbps connection. Mike, unless something has changed agajn recently, verizon no longer allows the transfer of UDP’s. Supposedly it is a policy change and not hard coded into the system (if you happened to get a CS rep that either didn’t care or didn’t know, it’s still possible). I was wondering if anyone has mounted their antenna on the gutter or roof or on a tall pole? If so could you share some pictures? I have moved and would like to get my antenna up above the roof line if possible (I actually get cable at the new house, but the cable connection is slower and less reliable than Verizon Wireless). ben, I used two sections of chainlink fence pipe. I can’t remember what it’s called but it comes in 10 or 12 ft sections (some places may even sell 20ft joints). I drove a smaller piece of pipe in the ground that fit inside the fencing pipe and then put a bolt and nut about 5-6″ from the bottom. This lets the pole rest on the pipe that’s in the ground and lets you turn the entire thing by hand with ease. My dad was giving me a hand and he had a bracket from a UHF/VHF antenna that we used to secure it to the eve. I would say it’s around 16-18″ in length total. It’s not the fanciest solution but it’s in the back of my house and no one can really see it. Thanks for the picture elwood. I may do something similar. How did you go in the house? Through the attic, crawlspace, or through the wall? We rent so I strategically placed it by a window AC unit. I went through the accordion vinyl on the unit and put some silicone on it. The modem/router is also mounted on the wall next to the AC. That allowed me to keep the coax as short as possible. Which, as I’m sure you know, the coax length can have quite an effect on signal loss. I ended up buying a really nice quality LMR400 cable on ebay from a company out of Texas. I believe the length was 15ft. Hey just wanted to say thanks for this post. Don’t remember how I came across it but it was the validation I needed to use my existing (no AOL needed for me) Verizon UDP for my home internet. I am using a Novatel T1114 mentioned in the comments and the same antenna. I have been able to get achieve speeds of about 15-30down/5-10up with antenna in a temporary location. I’m hoping I get a more consistent speed once I get the antenna mounted off the chimney. Either way, a much better speed then the pathetic 3/1 DSL that’s my only other option. Hi, Chris. It could be a number of things. 1. I have often had to initially install VZAccess Manager http://www.vzam.net/ on a Windows machine and connect with itonce on the computer before it would work in my CradlePoint. I think it updates the firmware or tower list on the device. I also find that every once in awhile, like maybe once every year or two the connection will stop working and I’ll have to do it again to update it again. Once you know you have a working connection with a computer you could try it in the TP-LINK. If you can’t get it working on your computer you could put the SIM card in another device or phone just to make sure the SIM card is working… if the SIM card is fine you may have a bad modem. The original 551L I had stopped working after a couple of years so I replaced it with a UML 290. 2. I should mention I initially tried a TP-Link and found it very unreliable. It couldn’t hold a connection longer than 30 minutes before the modem connection would drop out and have to do several hard resets to get it back. When I contacted TP-link support they did not provide someone technical enough to solve the issue. I then bought the CradlePoint and it just works… and every time the connection drops (which is rare but it happens) the CradlePoint resets the modem for you. Ben, thanks for the quick reply. I actually had to downgrade the firmware to get the router to communicate with the modem. Silly I think. It’s working for now. I’m greatly considering the Cradlepoint like you said. Looks like I can get the MBR95 on Amazon for $130. How’s the range without the external antennas? Do you like the UML290 better than the 551L? Thanks again! I think both the UML290 and 551L are pretty equivalent. I’m sure my 551L died from overheating shortly after I moved because the Verizon signal wasn’t that strong and I hadn’t setup the antenna yet. The pigtail that came with the wilson antenna kit is a little more secure on the 551L, takes very little force to unplug it from the UML290. Also, I wanted to tell you that I just happened upon the 4g data thing around a year ago. This was after trying and trying to pay companies approx. the same thing I pay now for their slower internent, but they wouldn’t cover my area. I had the Unlimited plan since around 2010 and didn’t even realize what I had. Just had that “light bulb” come on one day driving home from work. Didn’t even really know where to start but I thought there had to be a way. I had been using a ZTE890L MIFI and had it routed with repeater/AP that I flashed to DD-WRT and used a different SSID so I could connect more than 10 devices if I wanted (MIFI only allows 10). I think this setup will be much better once I get the Cradlepoint. Hi, Chris. That sounds exactly how I started when I was in a rural area, I had a mifi and somehow cobbled together some DD-WRT (or maybe it was Tomato) flashed routers to use Wifi as a WAN. Kind of ridiculous to go from Verizon wireless -> Mifi -> Wifi -> DD-WRT – LAN – Wifi. The Cradle point is a better solution. I moved back into town months ago, I signed up for cable internet, but it was awful. The best speeds (only not during the evenings and weekends) is 20 down 2 up, but usually I got 5 down and 1/2 up and 70-200ms pings to Seattle. Shortly after getting cable Kris (my wife) mentioned to me the internet was unusable during the day. So I switched back to Verizon, it’s getting a fairly consistent 10 down 8 up and 40ms ping to Seattle so I guess I’ll keep using Verizon UDP as my primary internet for now. Hello all. Ben, I bet you never thought this page was going to get hit by so many people. Couple of updates from my end. The Cradelpoint MBR95 I have is useless. It seems to be unresponsive after a few hours. I got it used on Ebay for a decent price with the usb551l, so I do not feel to bad. I upgraded to a peplink pepwave surf soho. It’s a little more reliable, but it to is unresponsive at times. I am wandering if there is a reliable 4g modem on the market that is not $500. If anyone out there has a setup that seems to be reliable, please post. I purchased my MBR95 used on ebay as well. Occasionally it will reboot by itself (1-2x/week) or if i’m transferring a large amount of data over wifi. It has been tolerable but i’ve been working on getting my UML295 working directly plugged into a router running DD-WRT or some other third-party firmware. These firmwares give greater control and much more options such as VPN, remote access, ad-blocking directly on the router, etc. I was somewhat successful with the UML295…it works but there is a large amount of TCP RST’s. Basically, some websites “hang” for a few minutes when loading or won’t load all the way, especially websites using CDN’s for some reason. Supposedly it is due to some issue with the Broadcom chipsets. I’ve decided to go back to my MBR95 for now. I also have a USB551L. I ordered an antenna cable for it yesterday. I will test it on my Netgear R7000 and post my findings by the end of this week. I’m fairly confident that it will work with no major issues. Hi, elwood. This may be different than your problem, but for awhile I was having trouble with pages hanging for a second before they loaded and I traced it to slow DNS queries I was using Google’s 8.8.8.8 and 8.8.4.4 but they seem to be resolving much slower from my connection than other DNS servers but only from Verizon Wireless–I’d query them from a fiber connection and work and they’d respond fine. One thing I do now which probably helps is I run my own DNS server so that my workstations don’t have to query external name servers. I followed Calomel’s guide to setup Unbound DNS on FreeBSD 10: https://calomel.org/unbound_dns.html then in my router (which is PFSense) I added my local unbound server as the primary DNS server and Google’s 8.8.8.8 and 8.8.4.4 as the secondary and tertiary DNS servers. What this does is allows my workstations to query my internal DNS server instead of going out to the internet for every DNS query which is much faster and doesn’t require a query over the internet. ben, you were having DNS issues with the modem plugged into the Cradlepoint or a DD-WRT router? In my case i had the UML295 plugged directly into a router running DD-WRT. From what i was told recently by some of the third-party firmware devs was that the particular issue with hanging websites and TCP RST is only happening on Broadcom-based routers. The biggest issue is that the vast majority of DD-WRT & Tomato devs are overseas. They can add support for these USB LTE modems but they have no way of testing or troubleshooting them properly. I really hope to have my modem running directly off my R7000 soon. I received my antenna adapter for the USB551L yesterday but i couldn’t find my SIM card adapter so i’ll have to wait for a new one to come in before i can test any further (should be in tomorrow). Received my SIM adapters in today but the USB551L would not detect any 4G/LTE network no matter what i did. I did try getting it setup on the R7000 to connect to 3G…I tried it on DD-WRT as well as Tomato with no luck. I’m just going to use the R7000 as a wireless bridge for now and hope they fix the issues with cellular modems in DD-WRT/Tomato. Thanks for the update. 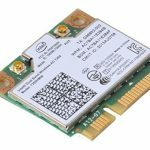 It seems like some of these 4G modems should have Linux drivers, I wonder if there are any Linux based routers that would be able to utilize them? Hi, Courtney. Yeah, I didn’t realize so many people are without good internet options. Sorry your setup hasn’t been as reliable. My MBR95 has been rock solid, I have not rebooted it in 2 or 3 months. My 551l died (probably because I wasn’t running an antenna on it shortly after I moved and it got really hot) and there were times the CradlePoint would struggle to endlessly restart it–so right now I’m on a UML290 (can be bought for less then $10 used on Amazon: http://amzn.to/1NAUVHy) which is working well so far. Just bought a home in the country. Well..waiting for loan to get approved. We have Comcast high speed internet now and not a option to where we may be moving. I have a 17 yr old who’s a gamer a few hours out of the day. I’ve spent weeks trying to find internet out there, I keep getting pulled to Verizon who is actually our cell phone service.Me and my husband use our phones for internet…my son uses his gaming PC for browsing and gaming. Ben PLEASE tell me what to order from Verizon lol. I think I’ve read sooo many post about what to do and I’m lost. I was considering hughes.net or Exede and was told not to.Homeowner uses Direct TV now for cable but her phone for internet. Our phones works fine out there. Verizon is no longer selling unlimited data plans. Since you already have service with Verizon check to see if one of your phones already has unlimited. You may be able to move that plan onto a USB modem by swapping the sim card and then get a different plan for your phone and swap the numbers. If you go this route make sure the Verizon rep knows you want to keep your unlimited plan, and say “no” every time they ask if you want to upgrade it to one of their newer plans. Verizon is not allowing AOL (Assumption of Liability tranfers) of grandfathered unlimited data plans anymore. But there is one more option. I have not done this myself so I don’t know entirely how it works, but search ebay for “Verizon unlimited data business”. The sellers are offering a business wifi hotspot or SIM card with an unlimited data plan that you could put in a USB modem and it will cost around $200/month to run. This seems pricey, but if you use a fair amount of data it will be cheaper than using the newer data plans from Verizon. One other option, sometimes in rural areas there are local point to point wireless providers. The providers in my area weren’t able to hit my house because of some mountains but that may be an option for you. Satellite will be your slowest option… I guess it’s better than nothing. I just checked..all 3 of our phone have shared data. The wireless provider Freedom.Net said there we’re too many trees surrounding our house. The neighbor 6 houses down gets it though. The 200.00 a month I’d rather drive him to the library lol. May have to look into satellite : ( It is what it is. Thank you! Toni, satellite is a last resort. I can tell you that your 17yr old will definitely not be able to play the majority of their games, if any, over satellite. Satellite has a latency of up to 2+. Which means, in layman’s terms, when you click a link to a website, that website won’t even begin to load for up to 2 seconds. I’m sorry i don’t have any other suggestions. But i understand what you’re going through. If you and your child were very careful and constantly monitored data usage on your cell phones, he could possibly get away with a few hours a day playing over the hotspot. As long as they don’t download updates, etc. Most games don’t use that much data during gameplay. Each game is different though. It would have to be closely monitored so that you won’t go over your allotted data each month. Elwood is right, satellite should be your last resort–it won’t work very well for most games and it’s horrible enough at just web-browsing. If you commute to use the internet consider the cost of driving–usually around $0.50/mile depending on the car. One thing you could do is get laptops, and maybe only buy the $100/month 18GB plan from Verizon. You will be cramped for bandwidth but it would be enough to do gaming and some web surfing, but you would want to drive somewhere else where you can get free wifi to download OS updates (be sure to tell your OS that your Verizon connection is metered so it won’t try to download updates over it), game updates, etc. because that will eat through your bandwidth in a hurry. From first hand experience I can tell you when phones and such connect to your local wifi they’ll think it’s unlimited internet and start downloading apps and OS updates unless you disable that feature. It’s a hassle to keep an eye on. If it was me I’d find a way to make $200/month work–since I live in a rural area I’ve learned to price the cost of internet into what I’m willing to pay for a house. You could switch your phones from Verizon to a pre-paid Verizon MVNO like Page Plus, Selectel Wireless, or TracFone–you still are running on Verizon’s network but at less cost and put that towards the internet costs… also your son may be willing to work a part-time job and help chip in with the internet cost. Can you suggest what I order when I call Verizon? Sorry for not understanding all the bandwidth ect..Again..he has a gaming PC and we do have a laptop. The rest of us use our phones through Verizon when going on internet.The lady at the credit union mentioned Verizon having a thing called ” Cantina” ? I can take him to library what not, but with winter coming I was hoping to avoid. I never lived in country so new to all this. Satellite is out after reading post. Since your son has a desktop my guess is he doesn’t have a wifi adapter so you’ll probably want a USB modem or a MiFi that can also tether using USB. I’m not too familiar with Verizon’s offerings other than that they’re way overpriced (I use about 80GB/month, that would cost $560/month direct from Verizon!). You may want to post your question over at http://www.howardforums.com/ …there’s some people there that stay on top of the cell phone market so would probably offer some good suggestions. Going on EBay now and looking for this. Hey all…I’m still plugging away with my system as I originally set it up from this very resourceful post! (See 1st comment…USB551L to CradlePoint MBR95) My latest issue is, I think, my Wilson antenna. It’s a DP Pro that I’ve had several years. Any recommendations for a good cell booster/repeater that will reliably boost 4G LTE? I bought a new iMac, and am hogging some serious data getting everything transferred, updated and installed! Any other suggestions to help speed things up would be appreciated! Plus, I see some serious need to stream on the new screen in my future! I should add that if I move the 551L to an upstairs window, and use a USB pigtail cord to attach it to the CradlePoint, I can pull 4G from the air at 3 bars. However, the CradlePoint is then not ideally located in my house. If possible, I’d like to avoid purchasing another expensive booster! Hi, Beverly! Thanks for reading my blog and trying to understand it. |:-) If I’m understanding you, it sounds like you can get a good signal if you put the Antenna/551L in a certain location, but then your CradlePoint is too far from where you want to use your computers? One option would be to hook up an AP, something like this: http://www.amazon.com/Ubiquiti-Networks-Enterprise-Unifi-UAP/dp/B00HXT8R2O/ instead of using the CradlePoint’s WiFi. The Ubiquiti AP’s should have far greater range–and if not you could place it somewhere central in your house and run a network cable back to the CradlePoint router. Also, I should mention that the Wilson DP Pro (if that’s what you have) is not designed to amplify the 4G / LTE bands. It may boost the LTE signal by chance, I’m not really sure how they work. After using it upstairs all day, I did find I had trouble maintaining a consistent 4G signal. It would occasionally drop and reconnect to 3G. I just found a weBoost 4G connect from Amazon warehouse deals for $468, opposed to $549 retail. With their return policy, I figured I may as well give it a shot to ensure better signal 1st, then assess the router needs. If none of this helps, Big River, a small regional telecom in our area has been putting up towers through a federal rural internet incentive program. I may have to reconsider it. They offer an “unlimited” plan for business (I work primarily from home) for $139/mo, with a 2-year contract. I’ve been skeptical, and don’t yet know of anyone who has really pushed the data into the heavy-use range to test it out. I wonder if anyone else here has tried something similar? I wouldn’t dare give up my Verizon plan until I were sure! ben, what would you recommend to remote access an IP cam? My network is similar to yours: UML-295 > Cradlepoint MBR95 > Netgear R7000. Should I look into maybe getting a Raspberry Pi to run Ethersoft VPN on…would that work? Hi, elwood. It should work–if you’re going to use a lot of bandwidth–like streaming video my only concern with the Rasberry Pi is I don’t know how much CPU power it has and if you’re going to encrypt the VPN connection will the CPU be able to keep up with the speed you want?–maybe it’s enough but I don’t know. I’ve never played with a Rasberry Pi so I don’t really have an idea of what they’re capable of. The Raspberry Pi 2 has a quad-core 900MHz A7 CPU & 1GB RAM. I’m looking into possibly running an OpenVPN server directly on my R7000 (1GHz CPU) with Tomato. Hi Ben! Can this done for at&t also?? If so I live in a rural area w good phone signal but trying to get unlimited wifi for my home.. I now have an unlimited plan that I can buy additional line for $40..what r ur suggestions? Ty in advance. Hi, Denise. I’m not too familiar with AT&T, from a technical standpoint the same thing can be done, but see Beverly’s comment–it looks like AT&T doesn’t allow tethering. The only reason Verizon allows it is probably because of FCC rules on the 700MHz spectrum they bought. I messaged a few months ago and FINALLY closed on house and getting ready to move. We have Verizon phone service and found out we can’t even get the Verizon Home Fusion even though signal there is great. : ( There’s literally a small unlimited internet company with a tower a mile away and we can’t even get that because of all the tall trees. It’s going to be hard going from Comcast to now Satellite and we LIVE on computer. My only choices now are to go with Dish internet or Excede. It’s going to be a be a change but excited to live in the country. Congratulations on the house, Toni. There are some fun things your family can do out in the country to occupy your time instead of being on the internet. Gardening, farming, raising bees, shooting in your backyard, hunting. And the great thing is it’s all free exercise! Thanks for the update, Beverly, glad the new booster is working. And thanks for answering Denise’s question. You are now my new best friend :-) This stuff gives me headaches…but I have to do something fast. We have 2 desktops, 2 phones, 2 tablets, and a mifi. We live in God’s country where fiber optics has been laid about 3/4 mile from us down the main highway but no one will venture down the side roads to lay cable. Such is life! We had Millenicom originally and when that disappeared we got a second Jetpack each with 10 GB – were pounded with overage charges (phantom data no less) so switched to ATT and 25 GB. First few months everything was fine – now the overages are starting earlier and earlier. Last month they charged us for 6 GB more – the previous month was 3 GB. And I just got a message from ATT that we have used 75% of our data with 15 days left to go. So – I saw on a couple of boards that renting these UDPs from EBay worked really well. So – I found one guy (highly recommended on a couple of boards) who is selling the latest Jetpack plus unlimited SIM for $178. Unlimited data for $198 per month. Sounds almost too good to be true. Is this the way I should go? Does this handle voice and data? Please, please help me through this!! I’d rather “wrastle” a bear than deal with this stuff! Hi, Sharon. Sorry for the delay, I haven’t had a chance to check my blog in a few weeks–hopefully you’ve already moved forward by now! I’m still using my grandfathered UDP plan at less than $70/month but you can’t get those anymore–I think that currently the UDP plans for around $200/month are the best option. I don’t know if those plans include voice–but you could probably use some sort of VoIP solution over it like Skype, or get a second plan from an MVNO (I use TracFone but don’t need to talk much) to use for voice. Let me know what you end(ed) up doing. The wife upgraded to a new iPhone6 and I have the unused old iPhone4S w/ microSim. Could I transfer a purchased UDP to this iPhoen4s or does it have to be an Android phone? I have a Mifi6620L that we currently use but I would wonder if I could then take the SIM out of the iPhone4S after the transfer and put it in the Mifi and then tether it to a better wireless router…. I ran across this blog a few weeks ago and plan to use my UDP sim on a Novatel T1114 router setup. That seems pretty simple. I currently use a local WISP with a dedicated IP address to access security cameras. This is just for home monitoring and is used sporadically but from what I have read, cannot be done on an LTE connection without a dedicated IP address from Verizon. Is this still true? I saw you mention something you did with a VPN setup but not sure that would work with a video feed. My current provider has 1mb speeds on a good day so the cost is barely worth it. Just looking for another option. I assume getting a dedicated IP from Verizon is out of the picture since calling them about a UDP line is typically not the best thing to do. Was not sure if they would even do it. I am in the same boat. I have had horrible, expensive satellite for years. I got the Verizon Jetpack thinking it would free me from satellite internet. Found out I couldn’t use my home security camera with it and would have to purchase a static IP for $500. I have been researching the Jetpack and come across a number of complaints about ghost data usage and overage fees. I still have time to take it back, but was hoping to find a way to use it with my home camera to keep an eye on my animals. I am new to all this WiFi technical jargon. I am used to computers, a basic router, and my satellite internet modem, and that’s all. Any suggestions ? This is where I’m at. We need security bad and don’t have any Internet options except for our Verizon Jetpack 4620le at 70.00 per month for only 8gb! Reading hard and hoping for a solution quick! My wife has cancer and people find out when we’re gone and been robbed about 3 times! I have the same thing you have. I rent unlimited verizon data off EBay. I use the 6620L Jetpack. Unless the Jetpack is in same room with me…I can’t connect. I bought the Pepwave Soho router. Works great! I don’t use it though because my son’s gaming PC runs slower. So it sits. I am new to this…how do you rent unlimited data from eBay ? Is it safe, and is it expensive ? Melissa..I went on EBay and looked up Verizon Unlimited Data. I found someone with good reviews. I purchased his Jetpack 6620L and paid a months advance for the monthly plan. 139.00 through Google Pay. I’m learning of all this also but no unlimited date where I moved here in Michigan. Street over has it but I live in wooded area. I’ve had no problems so far except for signal throughout house. It seems Jetpack needs to be close to connect. Looking into antennas now. Miss my high speed Comcast Internet but love country living. Thanks for the information. I like the idea of a Jetpack for my rural location. I have been saddled with satellite internet for years. It is the only option in my rural area. Thanks for the great write up – I’ve been scratching my head how to access my cabin which has a Verizon / Novatel hotspot and T1114 router available to use. I dug into Softether project and with a bit of learning curve and a few mistakes am now able to have VPNs running in several configurations. What I can’t figure out is with the Hotspot is that the IP address always changes while I am logged in. Usually so frequent I can’t stay connected for more than a minute or two. The features in Softether to handle this (SecureNAT) and DDNS can’t seem to keep up and I keep getting disconnected. (if I put the same server configuration behind my cable modem at home for testing I can make everything work well and stable). Any suggestions what I can do? Does your system not keep changing these private IP address all the time? How do you keep softether VPN connected? Hi, John. Do you have the TTL set low enough on your DDNS? I don’t think I have that issue, my IP address stays the same for awhile… but I haven’t really watched it. One thing you might be able to do to get around that problem is to setup a tunnel using SSH from inside your network to an external host with a static IP. I wrote about doing that here: https://b3n.org/port-forwarding-verizon-wireless-nat/ Then it doesn’t really matter how often your IP changes since you’re establishing the connection from behind the NAT. Great writeup! Do you have any recommendations for a cradlepoint router to use with the U620L usb modem? Or should I remove the SIM card from the U620L and put it in a used 551L so I can use it with the MBR95 router? Hi, Ron. I would just use a modem on Cradlepoint’s compatibility list: https://cradlepoint.com/mp_finder/db/modemreport.php I’ve never had an issue swapping SIM cards (as long as it fits, they seem to be getting smaller and smaller these days). Also, one thing I’ve found helps is installing the Verizon Access Manager http://www.vzam.net/ and getting the modem to work on a computer first, sometimes it needs updates before it will work in the CradlePoint. I have checked and according to Verizons newest terms of service, you can not assume the liability of a data plan any longer without already having an unlimited data plan. If I am wrong, please correct me. I would LOVE to follow this path. I would pay almost whatever it takes to get rid of this DSL that constantly drops, changes speed, and is generally close to useless but is still better than dialup. For this lousy Verizon DSL I get to pay $85/month. Hi, PCTyson. There are people on ebay still selling AOL plans.. some seem to be legit. Some seem to guarantee a successful transfer, and others offer no refunds at all if you lose the unlimited data. What I’d do is check for recent reviews for those sellers and see if there are any comments on that. Also, you can rent unlimited data business plans on Ebay on a month to month or lease basis. My one-time transfer fee is $1,495 and after that folks pay only $44.99 each month directly to Verizon (the line and bill will both be under their name). They’re also protected under a 2-year contract with Verizon. I ship them an activated SIM Card that they can start using immediately in whichever data device they’d like. I’ve been doing these transfers consistently since November and not a single person who has purchased from me has not gotten their Unlimited Data Plan and not a single person has lost it once they got it. You can contact him at vzwudp@gmail.com or 415-429-3615. He also has an Ebay store: http://stores.ebay.com/verizonunlimiteddataplans/ and his feedback seems positive: http://feedback.ebay.com/ws/eBayISAPI.dll?ViewFeedback2&userid=vzw_udp&ftab=AllFeedback&myworld=true&rt=nc If you decide to buy from him and want to give me a kickback tell him you heard about it from “b3n.org”. Mr. Bryan I live in east TN and have the problem of not being able to get a provider to run Internet to my house. I mostly need it for game console streaming and gaming. Assuming that I’m a novice with a basic understanding of all the technical info you’ve provided and already having a Verizon SIM card from a Samsung Galaxy with an unlimited data plan what all would I need to purchase (i.e. Modem, router, antenna etc.) would I need to purchase and how exactly does it need to be setup? In your posted picture it has your cradle point running to a modem and another router and that’s where I start getting lost any help you could provide would be a great help. Hi, Theron. I already had a router and wanted to use that so I just use the CradlePoint as a modem and ignore it’s router capabilities… my setup is more complicated than most people need. You can just use the CradlePoint router and connect all your devices directly to that. 3. Not sure what size SIM card you have, maybe get a SIM card adapter kit so you can convert it if needed. Usually ~$5. Once you get the UML290 pop your SIM card in it, download http://www.vzam.net/ and plug the modem into your computer. You may need to do some updates with the VZAM software, once that’s done plug the model into the CradlePoint. The CradlePoint has Wifi, so you can setup all your devices to connect through that. Hi Theron (or Carter? ), I don’t know much about the weboost models, those seem like they would be a better fit for repeating the Verizon signal inside your house for all your cell phones if you were having trouble getting signal in the house but had a decent signal outside. These might work but I don’t know–if you do decide to get one let me know how it works. If you get the one I linked to in the post it’s a passive directional antenna that plugs into the USB modem’s antenna port to improve the signal–it simple and it works great for my setup. Is this still working as of today? It’s still working for me, but I just saw this a couple days ago–read this: http://arstechnica.com/information-technology/2016/07/verizon-to-disconnect-unlimited-data-customers-who-use-over-100gbmonth/ My guess is if you have a UDP under contract you’re okay with unlimited data until the contract expires, but I don’t know that for sure. Either way it’s pretty clear Verizon doesn’t want to be offering this service and is slowly working to eliminate it. That should work, as long as you get a good signal where your router is you don’t really need the antenna. I have a different kind of Question. I recently moved to a rural area with no wired options. Here is my set-up. Verizon UDP on a Novatel T1114, hooked to a Yagi antenna. With this, I get fair service around 4-7 mps, signal strength -95db or so. Even though I had the antenna mounted outside, I found that moving the router to the second floor provided better signal strength. For TV, I am using a Tablo, which I have connected to the system through Wifi, since my TV antenna is run down stairs. The Tablo is dropping connection allot and I believe would work better if connected to an ethernet port. I also only have a fair signal downstairs with the Tablo. Would adding a router downstairs and running a connection from the novatel to the new router provide a better connection? I need to run a data cord anyway for our home security system. The Tablo btw, only uses a little data, but relies on the home network to broadcast its signal. So to simplify, has anyone used the novtel t1114 more as a modem and connected a separate router? Would this work? Hi, Joe. It’s hard to say for sure, but it does sound like the WiFi strength to the Tablo so running an ethernet connection should help from what you described. Either that or setup a WiFi repeater of some sort. I tried replying to this yesterday. I was using the T1114 until Verizon booted me from my grandfathered “unlimited data” plan for using to much unlimited data. Go figure. Anyhow, if you don’t already, get another external antenna. The T1114 had the ability to MIMO, using one antenna to receive and the other to transmit. I had the T1114 in my laundry room, where I had the shortest run to the external antennas. I turned off the wifi radio on it to reduce interference in the house. I than ran ethernet to a central switch. Off of this switch, I had a ASUS router downstairs as an access point, and another upstairs. These were connected via cat 6 cable. Than I had my main Roku connected via cat6 from the switch and another run of cat6 to another access point in my detatched garage. Worked like a charm. You say you got booted… I also have a udp from vzw… not to be nosy, how much data does it take to get booted? I have yet to get the letter. Any replies are appreciated. Christopher, they can boot you from the plan? How much were you using in order to trigger the boot? That is very disconcerting. If I recall correctly, 1) Verizon will “possibly” boot you if you are consuming over 100GB a month. 2) if you are using a grandfathered plan and they notice it is being used in a router, they “may” boot you. It seems pretty arbitrary from what I’ve seen and heard. I’ve not switched to the Simple Unlimited Data Plan, which is $60 a month on T-mobile network. I’ve got the sim in a Mofi4500 router. So far so good, but it’s only been 2 weeks. Hi, Mary. Congratulations on moving to a rural area! The Cradlepoint router works very well for me and others so that’s what I recommend. I have the MBR95 but there’s a newer CradlePoint MBR1200B which runs $245. I don’t see a reason to upgrade mine but if I was buying new I’d get the latter. For modems I had a 551L for awhile (until it died but I think that’s because the antenna came disconnected so it overheated using the internal antenna) now I’m using a Pantech UML290 ($20 on Amazon) and it’s been great for over a year. If you need an external antenna the wilson kit I got works great. For me it really improves the upload speed. Thanks, Ben! I cannot wait to get out into the country. :) So in your opinion am I better off going with renting the sim card and getting my own hardware or do you think a jetpack will suffice? I need to understand (in lay person’s terms) how I’d actually configure a mobile network as described above depending on whether I went with the sim or jetpack. I want to take the time to say that I have been working with Jason Mills on an unlimited data plan through Verizon. It is a bit pricey but it is worth it! I HIGHLY recommend Jason! Thank you Ben for mentioning him here and Thank You Jason! We ran into some difficulties with the transfer because of a VERY ancient Grandfathered Verizon plan that I have had the for over 20 years (no data, no text, voice only but very cheap price). Jason worked with me through the whole mess and eventually got the issues ironed out. It took a month or two to work out, but Jason stuck with it, remedied the issues, and made the transfer. I know have an unlimited Verizon plan in my name! It is a two year contract. Glad to hear, thanks for sharing your experience. Another option is 4gantennashop.com, depending on coverage. Unlimited T mobile 4G. I’ve been using it since Verizon booted me in August. It’s been rock solid using a Mofi 4500 router. Something like $55 a month.! Good to hear there’s other options, unfortunately for me T-Mobile doesn’t have the rights to use band 12 (700MHz) in North Idaho yet so coverage is almost non-existent, but may be an option for others. Christopher were you on a 2 year contract with Verizon? What caused you to get booted? I also just worked with Jason Mills on getting this set up through Verizon. Yes! Living in the country is finally paying off! I’m glad I found this blog post. Jason was patient and walked me through every step of the way with the transfer. so far I have had zero issues. Unlimited plan line is now on my account with a 2 years contract! Thanks Ben and thanks Jason!! I too went with Jason Mills for the Verizon UDP as well. I had not read this blog before I started looking but this is an excellent resource. I live in the sticks and was able to get DSL through a local provider but the download and upload speeds were terrible.Netflix buffered and they have the best streaming out of any of the other sources. I had tried satellite as well but that is even a bigger waste of money than DSL. Worse than dial-up in my opinion. Yes, Verizon UDP is pricey but well worth it. I am stuck for another 10 months in a 20 GB Verizon Plan using a Cantenna. It works well but is too easy to go over the data cap and that is where they really stick it to you for the overage charges. Wish I had known this could still be done before I had pulled the trigger on the Cantenna. I was pretty desperate at that point. For the UDP I bought a Cradlepoint MBR1200B and a Verizon UML295 modem off of Ebay-both cheaper than any where else. My download speed went from .4 Mbps(yes point 4 on a good day) to 20 Mbps-uploads were .6Mbps and went to 17 Mbps-so I am flying and that is without an antenna which I have but have yet to hook up. Jason is great to work with and I highly recommend him if you are thinking about doing this. I doubt I will go over 100 GB’s a month. We just finished the transfer yesterday so I should be good for 2 years. Very happy. I’m renting UD from someone on Ebay using the Jetpack. How can I get a hold of Jason and get this? We already have Verizon service with our cellphones. I pay the guy on Ebay 139.00 a month. Just bought the identical set up. Been using my unlimited simple card in a mifi for years but only allows a few connections. The problem I’m having with the usb modem is that is keeps starting over. Will work great for a few minutes and then start flashing green and blue disconnecting everyone. So now I have it repeating the mifi. Does this slow it down and have you seen this problem. Not very computer savy. Hi, Victor. I have repeated off a wifi and it seems fairly stable, but a USB connection would probably be better if you can get it to work. It seems like your device is trying to update which the CradlePoint won’t do. Download VZAccess Manager from here: http://www.vzam.net/ and see if you can update the firmware, or if there are any other updates that need to be installed, etc. Once it’s working on your computer then plug it into the CradlePoint. Looking at t-mobile as well and since you have already gone the t-mobile route I have a few questions about your experience if I may; Assume you had a cell phone you used to get the SIM activated? Does the phone used to get the SIM have to be a t-mobile phone or can it be ANY unlocked 4G LTE phone? Once you were on the t-mobile plan were you able to simply swap the SIM out of the phone in to the dedicated LTE router? A t-mobile agent told me that SIM’s couldn’t be swapped, but then again that’s what verizon told me at first as well and it obviously wasn’t true… Assuming at this point the router is YOURS and not a subsidized t-mobile device? I have a pepwave br1 that supports signal for all 4 major US carriers. Just wondering what kind of speeds are you seeing with the mofi and t-mobile? Anyone who is attempting to jump on the grandfathered verizon UDP’s and spend a bunch of $$$ for modem/antenna/account don’t even waste your time at this point. Got booted from the unlimited data plan I have been on for 2-3 years using the same larger general amount of data the whole time – no prior notice no nothing. Since you have been through the tmobile experience already I would like to ask a few questions as I face a similar situation with being dropped from verizon. Were you able to use any unlocked 4G LTE phone to get the account/SIM activated or did they require a tmobile subsidized device? It sounds like you were able to swap the SIM directly out of whatever device you used to activate the account to your LTE router? I have a pepwave br1 LTE router that I’ve been using for years that has dual redundant SIM slots, Gb-ether outs, dual antenna connections, builtin WAP and supports all 4 major cell carriers. Surprised no one mentions these very often as they are very convenient, one-stop devices. What kind of speeds are you getting with the tmobile/mofi setup as opposed the former verizon setup? A few weeks ago, I started having issues with speed and dropped connections, even with what appeared to be decent signal strength. (-75dBm range). I was still running my original setup of the Cradlepoint MBR95 and the Verizon 551L. I figured after 3 years, maybe I’d given those 2 all the useful life they had. I checked recommendations here and upgraded to the MBR1200B and the Pantech uml295. The 295 would not connect to the new Cradlepoint, (error said “Suspended”), so I have it on the old one now, using a pigtail, and it will work, but it’s extremely slow. In the Cradlepoint diagnostic menu, it still says I’m getting LTE signal at -75dBm. I have plugged the modem into my computer and run diagnostics. It says I have the lastest firmware. I downloaded the VZAccess Manager mentioned above. It did detect the device, but won’t allow me to configure it. I click, nothing happens. Any ideas? While not tech savvy, I have managed to follow all the other very useful directions I’ve found here…so far. Any help is appreciated! 😊Thanks!! Hi, Beverly, sorry for the delay, it’s hard to say. Generally if I get a “suspended” I can fix it by updating Firmware or PRL (or whatever they call it) with VZAccess Manager. Could be an issue with the SIM card or the modem itself gone bad. I don’t think they’re really designed to be run 24/7 like we run them. I have burned out two modems since I started. Hi, just found your blog. We are moving to rural Western Colorado where they are in the process of installing gig fiber optic but we are probably a year away from getting it. I currently have a grandfathered VZW UDP plan on my cell phone and am exploring internet options until we can get fiber optic. Do you have any suggestions for me? 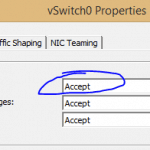 Could I use my UDP as mifi and set up something similar to what you have? I could get another cell phone with less data until I could switch my UDP back. Hi, Kathy. If you have a phone with a VZW UDP plan all you need to do is move the SIM card into a Mifi wireless hotspot or a USB modem (with a setup like mine) and it should work. Since you only need it a year I’d keep it simple and just do a MiFi hotspot (I think they are limited to 5 or 10 devices), if that won’t work you can do what I did and get a USB modem + Cradlepoint router + antenna setup like I did. Be aware that there are different SIM card sizes… if your phone has a tiny SIM card in it you can get an adapter kit off Amazon to make it into a bigger SIM card. Sir…welcome to “country living”. I moved to a barrier island just up the coast from Galveston with no fiber, no cable, no DSL, and no “microwave wireless” provider. I originally opted for Exede Satellite service because of speed and the largest data cap available in the market (plus, at that time, you had unlimited data from Midnite to 5 a.m.). I want to say it was 25 Gigs cap and $15/gig for any overages. The midnite-5a.m. thing was helpful because I could update all my computers, phones, Playstation, smart TVs, etc. during that time frame “free”. Only problem was that if I used all of those items, I ran out of data about 7 days into the month. In fact, I had data disappearing without even having the satellite modem plugged in… Hmmm… Along came someone telling me about Verizon’s “Cantenna” (30 Gigs with an antenna mounted on your house and billed as an additional line on our Verizon bill). Made the jump since it was the same or more Gigs, didn’t have the huge delays in moving data, Verizon could tell me where all my data was going, and it cost the same, That helped…found out I had to disable darn near everything in the house (things like your smart TVs, DirecTv receivers, wireless printers, Playstation, tablets, etc.) to avoid “system upgrades” happening without me knowing it and using all my data (and more). Had “hotspot” coverage on my cell phones, so added 25 Gigs to my phone plan to give me the ability to “WIFI” 55 Gigs/mo. between the Cantenna and the 2 phones…and still couldn’t watch an NETFLIX movie, enable “on demand” on DirecTV, etc. or (again) I was over my data limit. ATT started offering “unlimited data” if you had DirecTV and my heart leapt…but it can’t be “hotspotted or WIFI’d”…not a solution…plus I have terrible ATT coverage here. So…I was stuck. Here’s what I did…I joined the Chamber of Commerce in my little “village” and started lobbying all of the “microwave wireless” providers in the area to expand their coverage to my isolated area…no luck. Then, my Electric Coop came by and installed a “wireless” electic meter on my house…hmmm…. Wonder how they’re moving their data back to the office from those meters? Next stop was as a “Chamber of Commerce rep” at the Electric Coop lobbying for the poor school children in my area that were in the same boat that I am and pleading with them to add wireless internet to their offerings as both a money maker and an economic and public benefit service. A year later and I (and the rest of my area) have high-speed, unlimited, wireless internet at a reasonable rate that’s bundled with our electric bill. The electric Coop is 5 months backlogged for installs here… Moral of this story is that you can’t take the city with you when you move to the country, but you can become a “big guy” in the country (if you’re straight up) faster than you can in the city…and make a more lasting impact on things as an individual. $200/month for unlimited internet (i.e. the mentioned Verizon business) in otherwise unsupported rural areas is a BARGAIN if reliable, fast enough to stream and game, and you just have to smile until you can work out something better. Satellite is definitely your last choice, then DSL, then cellular, then cable, then microwave wireless, and finally fiber. P.S. My electric Coop microwave plan is $119/mo., unlimited, and FAST. Just got it active 3 days ago and am still on an internet high!!! Just a note on that “extended coverage” mention. Verizon now has about 21 rural 4gLTE partners. These partners provide terrible service. The major issue is the big distance between towers. I was very excited when Verizon, our 2nd carrier, came on line. Problem is that voice and data are terribly limited. After 2-3 miles from a tower, good luck. The only thing that saves them is the roaming coverage with USCellular. However, USC only provides 1X data for Verizon customers. It was so bad, and Verizon apparently knows this, that they let me out of my 2 year contract. I would certainly be wary of any “extended coverage areas” when you have unlimited data. What’s even worse is that our local rural LTE corporation omitted 3G fallback, so it’s 4G or nothing. I tried everything, and even Verizon’s “rural LTE” representative advised it was not truly a Verizon built network. WHAT? Hey Dan, I totally feel your pain. Feel free to call me at 415-429-3615 and I can try to help you out. I’m wondering if anyone can tell me why I’m having trouble getting this to work. When I insert my SIM card from my iPhone with UDP into my UML295, the light just goes white, and the online mob.vzw.com site indicates the sim as “unavailable”. Flomaster, I believe the UML295 uses a 3FF (Micro) SIM, whereas iPhones starting with the iPhone 5 use a 4FF (Nano) SIM. If that’s the case, you’ll need a SIM Card adapter. You can find them online or in person I’ve found a good option is a T-Mobile store. You may want to call the store first to ensure they have them in stock first if you go that route. I also have plenty of extras – if you’re in a pinch LMK and I can Overnight you one. Hope it works out for you! Thank you but unfortunately that is not the solution, as I do have a SIM card adapter. No dice. Try getting it working on your computer first. You might need to download Verizon’s VZAM to update the modem before it will connect. Once it’s working on your computer try it again on the Cradlepoint. Looks like Verizon is now offering unlimited data plans again! https://www.verizonwireless.com/plans/verizon-plan/#plan-details If anyone gets one of these new plans I’d be real curious to know if you retain your data speeds after going over 10GB and 22GB bandwidth on a USB modem. i’m also curious if this means that current UDP folks will start getting hit with the same “caps” on their “unlimited” plan. Just curious as to if you are still using this setup. I live in a rural area where cable stops a mile from my house and will not extend to us. I am currently using Exede satellite internet. It’s not too bad but wired options (cable/dsl) would be better. Download speeds started out a few years ago at 20Mbps and now they are about 7Mbps. We have a 150Gb cap, so we have to be careful about how much streaming we do. Ping response times are 700ms, so being a network engineer working from home gets painful at times. I am thinking about trying this out. We actually used Verizon for home internet about 3 years ago but there was no Unlimited plan. I already have the Cradlepoint MBR95, just need to pick up the USB modem and the antenna. My only concern is what you have just mentioned, what happens after I hit 10GB and 22GB. I currently am getting 8Mbps inside my house on the Ookla speedtest on my Verizon phone. I assume an externally mounted antenna would help this quite a bit. I may test it out for a month while keeping Exede before making a permanent decision. My plan is still working, I recently (within the last month) got cable internet so I started renting out the plan to someone else nearby. I have gone over 100GB several times and nothing has happened to my plan, but others have had issues so it’s hard to tell. Even if all you get is 8Mbps I’d take that over 700ms any day! If you do try the new plans let me know how it works! This doesn’t sound like unlimited anything. They call it “unlimited” just as all the major carriers are doing to grab attention but in essence its the same old crappy capped junk that no one who uses data would give the time of day. What they don’t tell you is that because they use words like “manage “prioritize” in the contract they can and will pretty much “manage” your speed down to next to nothing. You may have “unlimited” data, but if your speed is reduced to nothing or next to it, the data becomes a moot point. Just to be clear. When I called verizon to cancel my UDP, that they will be shutting down in a few days because I use too much data, they said flat out that they are currently weeding out the “heavy users” and will eventually end up cancelling ALL the UDP’s and begin offering only junk plans like this thing here https://www.verizonwireless.com/plans/verizon-plan/#plan-details. If you’re on a contract with a TRUE UDP you’re safe until that contract runs out. I mean if one can live with the confines these “new” plans incur at the prices they are charging for them then to each is own. But this is a advert tactic that all 4 carriers are using quite strenuously these days it seems. I’m done with verizon anyway at this point due to the shoddy way they are going about dealing with rural users and these UDP’s. There is no valid network management reason for kicking rural data folks off these plans when that is their only means of access. The human/sq. foot ratio is way lower out in the sticks which makes “congestion” not as likely the animal they claim. Hopefully since there’s less congestion in rural areas (at least that’s the theory, there may be more with everyone using it for their primary internet) there will be less throttling needed in those areas. On the new plans I’m curious if Verizon considers popping the SIM card in a USB modem as “hostpot” and will start throttling to 3G speeds after 10GB. That would be a huge downgrade from the old UDPs. Hopefully it just does QoS only when the network is congested after 22GB, the sounds pretty reasonable as long as like you said, they only it in the areas that need it. I received a email from VZW yesterday that basically announced the rollout (2/13/17) of the “new” data plans which stated that the disconnect date for my true UDP would be extended to 3/16. Since I had already contacted them a week prior stating I pulled their sim from my device and hadn’t used it in 2+ weeks and that I wanted to disconnect the service, no one mentioned ANYTHING about the new “unlimited” plan. I disabled auto-pay and told them I requested that the thing be shut down as they originally scheduled and told them if they extended the date to 3/16 that I would not be paying them for the extra 30 days. They quickly came to terms with the fact that they are indeed losing a customer and finally complied. Since I had them on the phone I asked the questions you asked above almost verbatim about the new “unlimited” plan. Being a rural user I did mention that fact and also mentioned that congestion is not a problem in my area. I also confronted them with the fact that the verbiage in the details of the new “unlimited” plan taken at face value would indicate the plan is not unlimited. Since they term data-only usage via a data-only device (such as a 4G wireless router, modem, hotspot device etc…) as use of the “hotspot feature” then the SPEED of the connection will be “subjected to management” after the predetermined limit has been reached. Decoding that line of advertising BS for regular folks’ consumption means that – YES, the plan doesn’t impose DATA CAPS per se, and ‘theoretically’ you have unlimited data, but if your speed drops off the face of the planet then your ability to get at that “unlimited data” is impossible. I did question them once again as to the status of the grandfathered unlimited data plans – they say they are still going to be kicking non-contract folks to these “new” plans little by little so as to eventually get rid of all of them. They wouldn’t give me a time frame as to how long this would take but they did say the UDP’s that are still in contract will be holding them up in this regard. So the UDP’s still in contract are safe until the contract runs out. Thanks for the info Jason! I too would like to give a BIG thumbs up to Jason. Jason also has the know how to get around issues that sometimes come up. He was able to work through a recurring problem with the attempt to transfer an AOL plan due to an ancient (over 25 years old) wireless plan that I had with Verizon. He worked around it and got it done. I highly recommend Jason! Jason is the true guy to talk to. I got my plan from him and I am loving it. He sticks to his word. If you really want a true Verizon unlimited data plan talk to JASON the man. If you don’t mind my asking, what is the cost incurred to the customer using one of your plans? Who is the carrier that you have now that is twice the price? Benjamin, I’m so glad I found your blog. I just converted my family’s Verizon plan to unlimited last week and we will save a lot of money. I have just read this post and am only part way through the comments but I wanted to take a second and thank you for your effort here. I can’t wait to get rid of Hughesnet and its data cap. I have consulted with a man in my area, south of Atlanta GA, who is setting up households and businesses who have no access to wired or fibered internet. He visited our home and showed us that using one of his routers we reduce our ping from 767 to 30! Download /Upload improvement is not as dramatic but may improve with antennae. I did not want to go ahead until I understood what he does, your blog helps. Ironically, he does not have a web presence. It will cost us more to pay someone else but what he describes matches your tutorial. Our county-wide school system gave every student K-12 a Google Chromebook this school year and many of those kids take it home to a house with no or slow internet. It makes me angry to know that the big wired ISPs take bailout and other taxpayer dollars in great quantities yet sight free market economics when called upon to build out to rural Americans. Arthur, I’m curious what “other carrier” you went with that is giving you a 1TB cap. Is there a way to know which tower you are connected to? Is there a way to switch to another tower? (I have an external antena and wanted to know if I could shop for better towers on verizon). If anyone has a guide or configuration information about setting up OPENVPN on a MOFI 4500 SIM4 please post your process here or PM the information please? The MOFI routers seem to be great devices but there is a very disturbing lack of tech documentation (or even a user manual) and the mofinetwork tech support is not in depth enough with the software to be of any help what so ever. UnLimitedVille.com is the reseller or “carrier” referred to here. The 1TB was something that was mentioned in passing in a post on their facebook page. So, for those on Satellite one of my friends got HughesNet’s new Gen5 service, It’s a lot faster than most satellite connections.. Whatever plan he is on doesn’t have data limits, but they do throttle after you use a certain amount of data, , and in addition you get unmetered data between 2am-8am. I’m doing the same thing, but just straight through the phone as I get 35/15 consistently with a 56 ms pingtime so the whole antenna setup isn’t needed. How did you get it so you can be discovered from the outside on the internet?? My friends can’t ping my public IP.. So if i wanna host a Minecraft server or VPN it seems like i’d have issues. Have any advice? Hi. Does anyone have any updates on rural Internet providers? Does VZ still honor grandfathered plans? Hi, Chris. My grandfathered UDP plan still works but I’ve heard plenty of others have had theirs dropped, I’m no longer using it as primary internet so it’s not using a lot of data like it used to. I have a http://www.nvtl.com/products/mobile-broadband-solutions/converged-voice-data/verizon4gltebroadbandrouter/ wireless broadband router, cable modem, and a nighthawk router. I’m not using the Novatel currently. I wondered if there’s an easy way of disconnecting the cable modem, turning on the Verizon router, and changing some settings in tomato on the nighthawk router so it uses that wireless signal from Verizon network as a wan. This way I can put the Verizon router outside and keep my home network. As it turns out, the signal in my house is very good. I put the Verizon router next to my nighthawk router, plugged the Verizon lan into the nighthawk wan, a viola, my home network was up and running with 25 Mb per sec download speeds. It really was just that easy. Very cool. Glad to hear, Rich! Thanks for reporting back. 25 Mb is a fantastic speed for Verizon’s over-saturated network these days. PagePlus Cellular now has TRULLY unlimited phone/data prepaid plan for only $55/month (using Verizon towers). I have used 350gigs (yes gigs!) tethering my to my PC last month and there was no throttling. Even on the last day of the month, I was getting 30Mbps down / 15Mbps up. Thanks for the info BillA. While it may work for you technically, I have looked into PagePlus in the past and their ToS does not allow for tethering or hotspot. This is interesting … I don’t need multiple lines so a single line for 55 is atttactive. I use a Novatel t1114 router , I wonder if that would work with this product?I need about 10 to 15 gb per month but like the idea of no surprises !